Dr Prakash Raviraj is a Consultant Forensic Psychiatrist, currently working within the medium secure unit at The Spinney Mental Health Hospital in Manchester. He is a valued Member of the Royal College of Psychiatrists, and Approved Clinician (AC Mental Health Act 2007), holding a Certificate in Forensic Psychiatry (CCT) and a Master of Law Degree (LLM) in Mental Health Law. Previous to this, Dr Raviraj was a Consultant Forensic Psychiatrist within the medium secure unit at The Edenfield Centre at Prestwich Hospital for Greater Manchester NHS Foundation Trust. With years of experience of assessing and treating a broad range of mental health conditions and working with child, adult and geriatric psychiatry, Dr Raviraj also conducts capacity assessments. 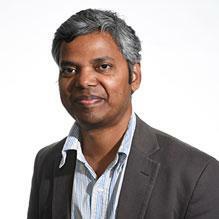 Dr Raviraj has also worked extensively with offenders in various prisons across the North of England. Dr Raviraj is an expert in court report writing and is approved under section 12(2) of the Mental Health Act 1983. He is able to offer psychiatric advice on a range of medico-legal matters, working across high, medium and low prison settings and Secure Forensic Services, advising Courts, district services, prisons, MAPPA, probation and Social Services in the Greater Manchester area. Currently appointed to the First Tier Tribunal Service, he provides reports to the local Criminal Courts on offenders with mental health issues. Alongside his patient care and medico-legal work, Dr Raviraj has also been the academic lead for the Edenfield Centre, and coordinated medical student and multidisciplinary teaching programmes at the Centre. He has also taught at both Leeds and Manchester University, and also lectured on the Approved Clinician (AC) course for the Royal College of Psychiatrists. Dr Raviraj has published a Cochrane review and actively contributes to research for Mental Health. He is known as comprehensive, timely, and excels at his work in a professional capacity. You don't need a GP referral to see Dr Prakash Raviraj.